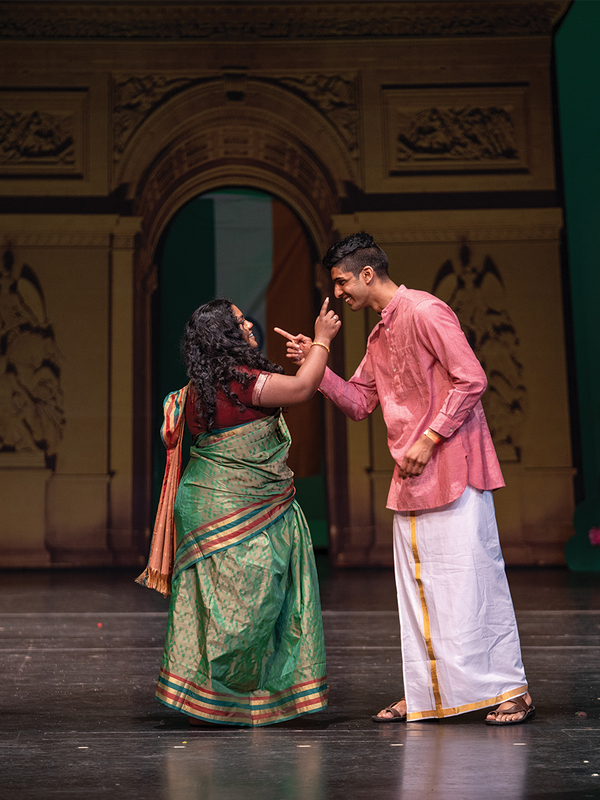 “Zindagi,” meaning life in the Hindi and Urdu languages, was also the title for the South Asian Federation’s (SAF) second culture show on Saturday, April 6 in the University Theatre. “Zindagi” had two components: performances from student groups and a narrative intertwined between performances. 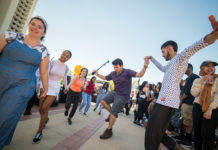 The cultural and dance organizations who performed were UCR Bhangra, UCR Giddha, UCRaas, Afghan Student Association, UCR Abhinaya and UCR Afsana. Among the performers were Sanduni Rajapakse who gave a Kandyan dance, which is traditional to Sri Lanka, and Sarang Majmudar who gave a traditional tabla (Indian drum) performance. Over 200 people came to watch “Zindagi,” the second cultural show that SAF has held. Culture shows usually do not have a narrative component. Creative director and recent biology graduate Vishal Kumar Gupta co-wrote the script with the artistic director Ashish Kothari. 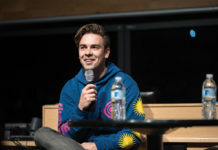 They both explained that they wanted audiences to engage with the show through the characters and push the boundaries of what a customary culture show is. Gupta was creative director for “Lamhe,” SAF’s first culture show, which also intertwined a narrative with performances. The original synopsis of “Zindagi” was a story about three women taking a bachelorette trip to France. However, the actual narrative twisted into a murder mystery within a culture show. Meena Kumaruguru, Vedika Iyer and Varunika Raja played the murder suspects Maya, Zoya and Shanaya respectively. Sheevang Patel played Akash the detective trying to solve the murder of Jamaal Shaikh. This was Kothari’s, a third-year biology major, first time as artistic director. Some of the responsibilities that this position included were organizing the fashion show component and creating the set design. In most culture shows, the fashion show component takes place during intermission, but Kothari wanted the fashion show to be part of the narrative. Additionally, the fashion show component allows different South Asian cultures to show their cultural attire. SAF began planning for “Zindagi” in January after Gupta and Kothari finished the script. From there, they had 13 weeks to plan the rest of the show, significantly longer than the planning period for “Lamhe.” The show’s direction and production was a team effort as it consisted of 25 board members. “There are so many organizations always hosting their own events, and dance teams doing their own competitions but a culture show is one way to bring everyone together! A culture show also helps us establish our communities presence on our campus,” SAF told the Highlander. SAF was established at UCR in 2015 to unite the 13 South Asian identifying organizations, but it was in 2017 when they held their first culture show. 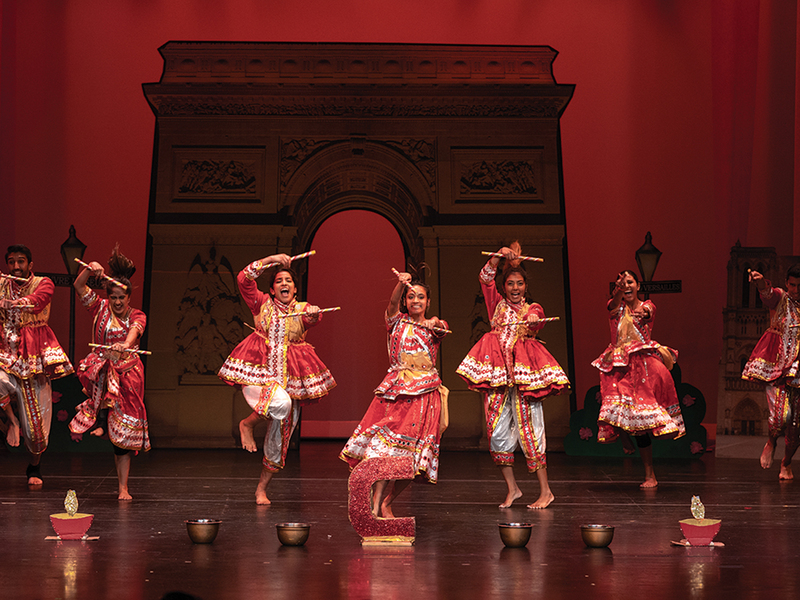 The culture show was meant to unite and celebrate the organizations and dance teams in the south Asian community.